This versatility and mold-ability extends to Polycarbonate in its second life as well-that is to say, with recycled polycarbonate. For a material with longevity, and which cannot be degraded easily, design using shredded, melted and re-shaped polycarbonate or blends of it with other materials offers the best way to continue to draw value from it. The work of UK based, sustainably minded design and manufacturing company Lucentia Design is an excellent illustration here.The company sources waste polycarbonate, acrylic, and vinyl at the end of their life to fabricate new flexible and rigid sheet materials for interior design, and also delivers innovative, bespoke artworks across the UK. Lucentia Design considers this waste precious, especially polycarbonate, which is tough and has a good fire retardancy, making it perfect for interior artworks. Sourcing transparent Polycarbonate from CD’s and car headlights on the one hand, and opaque polycarbonate from packing crates on the other, the company creates a few standard sheet materials in addition to bespoke commissions and finishes using decorative blocks or modules of their recycled polycarbonate material. Their ‘Shimmer’ polycarbonate sheet is made purely from recycled car headlights – the metalized inside skin of the headlight unit. 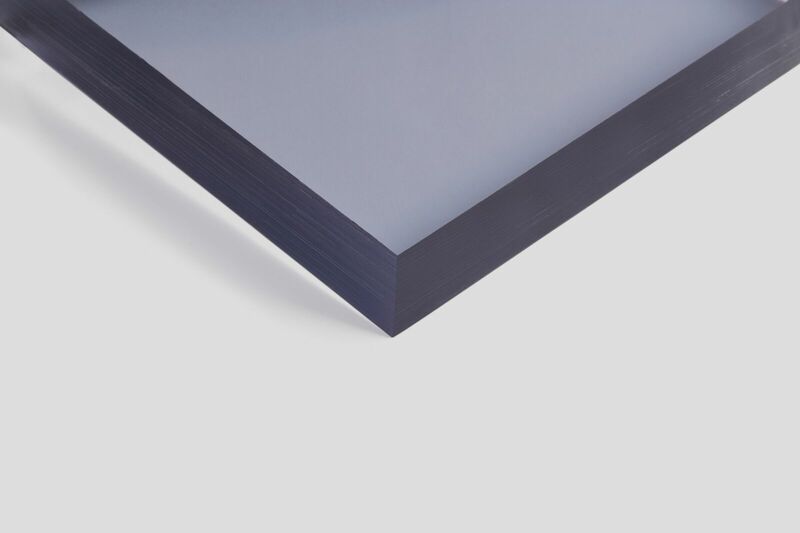 The recycled material is created in rigid sheets of various thickness, to a maximum size of 300x300mm, and has the option of a shimmer pigment included within it to enhance the metalized nature of the material. Their ‘Paper’ sheet material, on the other hand, is made from recycled polycarbonate from packing crates. The Flecks in the white of the material mimic the textures of hand-made paper–hence its name–and the thin sheet has a unique translucent opal-like quality.